North Road West Medical Centre offers a full range of health services and clinics for our patients. 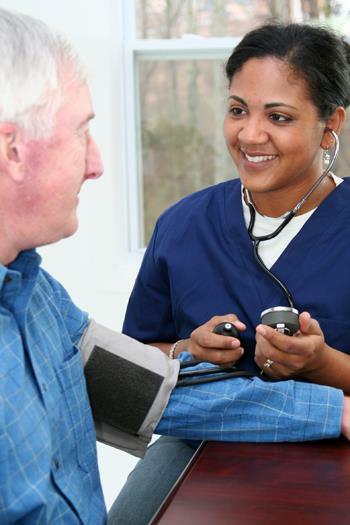 All the National Health Service (NHS) care we provide is free of charge. Regular checks by a doctor and community midwife throughout pregnancy. You can contact her on Wednesday or Thursday mornings. Sessions run by health visitors for weighing babies and giving advice to mothers. Contact the health visitors on 01752 434008 for clinic details. Doctors and nurses advise on all methods of family planning during normal surgeries appointments. Women are recommended to have a smear test 3 yearly between the ages of 25 and 49 years and five yearly thereafter. Patients with asthma, chronic lung disease, diabetes, heart disease, high blood pressure, epilepsy, rheumatoid disease , dementia and chronic mental health conditions are reviewed by clinicians for regular checks to optimise their management and prevent complications. The NHS Health Check is available free to all adults between the ages of 40-74 years. This MOT is your chance to check your risk of heart disease and diabetes and take effective preventative action. Community nurses provide nursing care for the housebound and those recently discharged from hospital. You can phone them on 01752 434851 between 2.00-2.30 pm from Monday to Friday or contact them via the surgery. How to access this service: Patients registered at North Road West Medical Centre should book an appointment to see their GP at the surgery, if they are able to attend a surgery appointment. If not, they or their relatives or carer can request a home visit for assessment. It is recommended that anyone with a chronic illness has an annual anti-flu immunisation. Please book an appointment for the seasonal flu clinic in October. Our health visitors are experts at giving advice on health care, particularly for small children. If you need to contact them, please ring 01752 434008. Doctors remove small lumps and perform other procedures, if clinically indicated, under local anaesthetic in our well-equipped treatment rooms. There is a monthly wart clinic for the treatment of warts and verrucas. The practice provides extensive in-house physiotherapy dealing with back/neck/joint problems, soft tissue injuries and muscular aches and pains. Acupuncture and manipulation may be offered as part of your treatment. You can make appointments with the practice nurses for dressings, stitch removal, contraceptive pill check, cervical smears, vaccinations and other preventative health care, including chronic disease review, without seeing a doctor. Our nurse practitioner is also trained in treating minor illness. You can phone to speak with the nurses between 12.00-12.15 pm, or make an appointment via reception. You can access help for psychological problems via your GP. Our smoking cessation adviser can provide advice and nicotine replacement therapy, if indicated, to smokers who want to give up. Preventing a stroke We work with all registered patients to minimise their risk of having a stroke or a “mini-stroke” or Transient Ischaemic Attack (TIA). We use clinical scoring systems to help patients understand their own measurable risk of a stroke and then work with them to address known risk factors, such as smoking, drinking alcohol, poor diet, high blood fats, diabetes and lack of exercise. We also screen all patients with known risk factors, inviting them in writing to our Vascular Risk Screening Programme for a clinical assessment. We provide services to help people, such as Smoke Stop clinics, and advice about recognising the signs and symptoms of stroke. Patients with specific risk factors, such as atrial fibrillation and congenital heart disease, will be closely monitored and their GP will work with hospital specialists to agree personal plans for each patient. Most of our patients choose to be referred to Derriford Hospital neurological or cardiac departments but other service provider choices are available. Support to patients who have had a stroke or TIA For patients who are in hospital following a stroke, we work with the hospital stroke team to plan their discharge, especially any home modifications that might be required. Patients will be discharged with an agreed rehabilitation and treatment plan to meet their individual needs and the GP will help monitor progress, amending the plan where necessary. The team will support the family and carers and work to meet their needs in caring for the patient. Depending on the needs of the patient, a range of support and care is available for people at home. Some patients will return home with support from the hospital’s stroke discharge team for up to six weeks. The team consists of occupational therapists, physiotherapists, speech & language therapists and a nurse, with support from a clinical psychologist. Patients who need general nursing care at home will be part of a community based support team that cares for patients with a range of conditions. The team communicates weekly and has close communication links to prevent or treat any issues as they arise. Patients will be encouraged to participate in local voluntary groups and day centres and the GPs will refer patients to specific services where necessary. The GPs will also work with patients to minimise the risk of a repeat stroke or TIA by providing specific support based on the patient’s individual circumstances and focusing on their risk factors. All patients who have had a stroke or TIA are reviewed twice a year by their GP. Patients will also be invited to be part of the annual seasonal flu programme, with the vaccination being given at the surgery or at home if necessary.